Chandigarh rock garden is an epitome of creativity and innovation. Rock Garden is a sculpture garden in Chandigarh, India, also known as Nek Chand’s Rock Garden. The speciality of this place is that it is completely built of industrial & home waste and thrown-away items. Rock garden has been established in the form of an open-air exhibition hall. 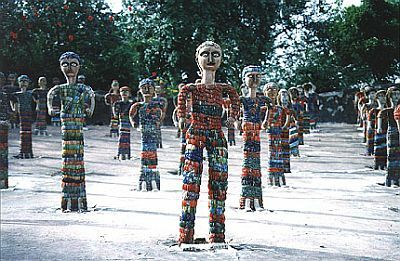 The Rock Garden was secretly started by Mr Nek Chand in 1957. The government only learnt about it in 1975. After it was discovered, the government took it over. The Rock Garden is still made out of recycled materials. It is situated near Sukhna Lake. 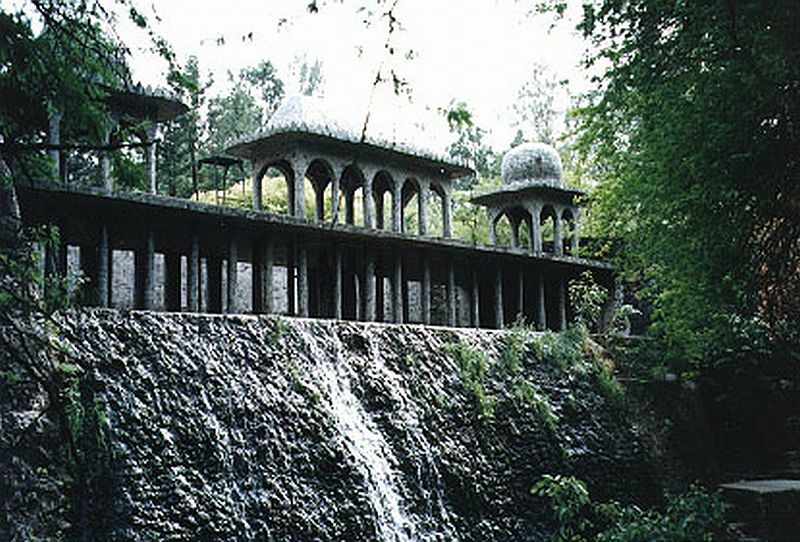 It consists of man-made interlinked waterfalls and many other sculptures that have been made of scrap & other kinds of wastes (bottles, glasses, bangles, tiles, ceramic pots, sinks, electrical waste, etc) which are placed in walled paths. Upon entering, the visitor finds winding paths which provide a perfect complement to Le Corbusier’s design for the civic grid of Chandigarh. Walls built of terra cotta pots and sherds shade cobblestone paths, leading to large open areas occupied by pavilions built of concrete and stone. 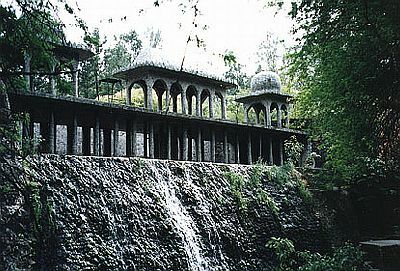 The buildings in the rock garden borrow from architectural precedents in India: some can be related to Mughal traditions by the use of the chattri (a domed kiosk supported on pillars) and the bangala (a curved roof whose two sides meet at a single ridge), and the pointed arch; other structures pay homage to the simple elegance of village domestic architecture. Streams and waterfalls weave around these paths and buildings. Along the entire route, neglected and thrown-away items have been transformed into fanciful creatures placed on inclined fields of sherds and rock. All are constructed of various combinations of porcelain, concrete, and stone. People, dogs, bears, birds, elephants, mythological and hybrid creatures can be found. One figure, a three-dimensional mosaic of broken plates, reclines and holds a coffee cup. Some groups are organized by profession, such as dancers and musicians, while others are eclectic ensembles of personages and animals. Different discarded waste materials like frames, mudguards, forks, handle bars, metal wires, play marbles, porcelain, auto parts, broken bangles etc. Nek Chand’s Rock Garden expresses the fragility of the environment, the need for conservation of the earth’s natural resources, the importance of balancing industrial development and sound environmental practices. Cool, a rock garden! I don’t think I’m fond of these particular statues but I must say this has given me an idea for my garden. How cool is that making use of materials that would have thrown away otherwise. It’s amazing it took so many years before noticing. Have anymore photos of this place. Awesome thought Peter and Good Luck !